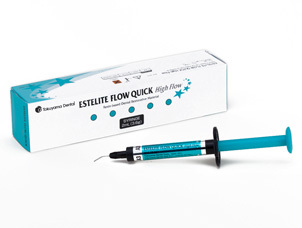 In addition to ESTELITE® FLOW QUICK, we have expanded our line to include ESTELITE® FLOW QUICK - HIGH FLOW. 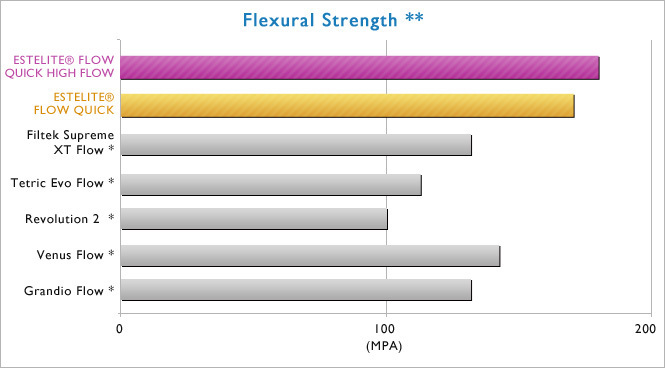 This lower viscosity flowable flows easily, facilitating a smooth cavity lining. 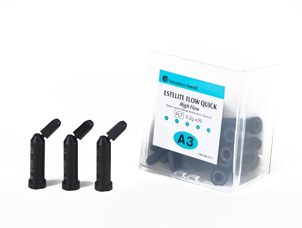 Together with its superb esthetics, excellent physical properties and quick curing time, ESTELITE® FLOW QUICK-HIGH FLOW enables the user to place quick direct restorations. This distinctive characteristic of quick curing is due to Tokuyama's patented innovatice initiator system "Radical Amplified Photopolymerization (RAP) Technology". 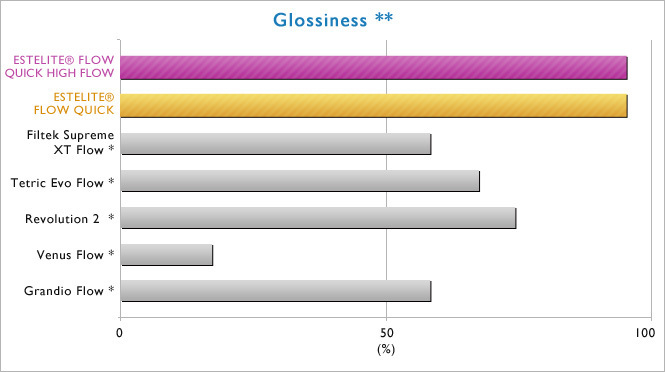 ※ OPA2 is designed for masking slight internal stain or reconstructing a highly opaque tooth.